Hi gourmet palates!! It's been a long time!! !Let's enjoy some food and wine in a french aperitivo style. The perfect chance to taste delicious french tapas and to all these wine lovers a selection of french wines. I am really looking forward to see you all! All these delicious tapas and 2 drinks for 15 euros. 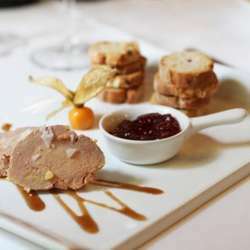 The restaurant is located in Chueca/Gran Via area and offers a gourmet french cuisine. I am sure you will enjoy this place and repeat your visit. Please just sign in if you are attending for sure.